Even if you secretly believe that you are to blame for your child's anxiety try to let it go. Parental feelings of failure communicate to your child that you believe they are somehow defective, setting off a domino effect of negative emotions. It can erode their self-confidence, exacerbating their problem by essentially becoming anxious about being anxious. Physical differences are easy to spot, we wouldn’t ask a short person to reach a high shelf without providing some scaffolding; likewise, kids with anxiety need emotional scaffolding, but since it isn’t apparent, they have to ask for it. While they are learning these skills, we need to be able to discuss anxiety with respect and openness with them and others, to show them that they can do the same as they face difficulties in life. Let her teachers, instructors, and coaches know that she has anxiety and what she typically does to help herself, so her calming exercises won’t be misinterpreted as not paying attention. Also, information about a specific fear can be helpful, e.g., my daughter was terrified of the diving board at the pool and was worried her instructors would make her jump. I let the instructor know she has anxiety, and my daughter asked if the diving board would be part of the lesson and said she needed to be able to to do it when she was ready. If she doesn’t pass, then she doesn’t, but she's still learning other important swimming techniques and I know she'll do it when she's ready. Anxious kids need to feel in control of their situation, for example, if he’s afraid of being confined to the car during trips, let him pack a kit that includes what he needs to keep himself comfortable and distracted from the situation e.g., a tablet, crayons, paper, snacks, or whatever works. Teach her the power of “so what”. So what if everyone in my class is a better swimmer than me? I’m improving. So what if I get car sick and throw-up? It washes off. So what if I failed the test? I can study and do better next time. So what if I never score a goal in soccer? I’m still a good defensive player. Our anxieties often become self-fulfilling prophecies, by being scared of getting car sick, we get car sick. We get so bound-up mentally about a test that we can’t think, and fail the test. If we let go, or so-what, the fear by remembering that we can shrug off even the worst case in most scenarios, we shrug off the anxiety too. The trick is remembering (and deeply believing) that our intrinsic value as human beings is still intact no matter the outcome of a situation or performance. Encourage him to educate himself on the topic. What to Do When You Worry Too Much, by Dawn Huebner, is an excellent example of a book he can work through himself, if he’s at a second-grade reading level or better. It is also a great read-aloud for younger kids. It was a relief to my daughter to know that there are enough children just like her that someone wrote a book about it. For older kids and teens, the website at http://youth.anxietybc.com is an excellent resource for self-help information. If you decide to get outside help, a professional therapist can help your family design an effective solution, and it’s a great starting point. But, nobody knows your child like you do. Listen to all advice selectively, experiment with parts that make sense, and disregard everything else. Be aware that you will need to continually refine your coaching technique as your child moves through the phases of growing up. Your child may never be anxiety free—who is really?—but with your help, he or she may learn to control it and channel that energy into a drive to excel in his or her chosen path in life. The snakes of anxiety can take innumerable forms, from falling asleep at night, to school, to a birthday party, to losing sight of you in the shower—be warned if you drop by my house... Being a parent of an anxious child is often frustrating and disappointing, but remember that your child isn’t trying to give you a hard time, she’s having a hard time. (This is difficult for me--I get so frustrated!) She needs your patience and compassion. It’s amazing how many anxious situations can be diffused by saying, “There’s no rush. I’m right here if you need me.” Also, be conscientious about taking care of yourself, and work in more unscheduled time into your family’s week than you think you need. Lastly, be kind to yourself, it feels hard because it is hard. Anxiety BC has an informative website at http://www.AnxietyBC.com and another at http://youth.anxietybc.com for young people to use by themselves. Go Zen at www.gozen.com has animated videos that are helpful for younger kids as well as adolescents. I'd love for you to add your experiences and advice in the comments. This is the first installment of a three part series about kids growing up with an anxiety disorder. It covers the physical changes in an anxious person’s body, how to achieve understanding through empathy, and how to apply your understanding to your child’s daily struggles. The hot days are giving way to the cool crispness of my favorite season. The trees put on their warmest colors, and the nights are brisk for cozy sleeping during the extended night. Reflecting on our summer, I see my children, slippery with sunscreen, splashing and jumping in the water. Their smiles sparkle like the sunlit water as they squeal with their special brand of joy. The one thing marring this vision is the cumbersome life vests wrapping their torsos. My girls haven’t yet learned to swim, so I think: swim lessons. I bask in these visions as I call my six-year-old daughter over and propose the idea. Instead of excitement and anticipation—she loves water!—her eyes widen with fear, and her chest rapidly rises and falls with shallow breaths. With her eyes squeezed shut, she unleashed a hurricane of questions that blew away the pleasant scent of wet rocks and damp hair; clouds darkened the sunny picture in my mind. OK, the purple monkey thing was mine, but that’s how it all sounds to me. I make the same mistake I've made countless times and try to reassure her, “You’ll be fine. They would never let a student drown.” But her panic only deepens. That’s because I have an anxious child. She gets this way whenever we are fording to new territory. If this sounds familiar to you, you may have one too. We’re in good company, the American Academy of Pediatrics estimates that close to 10 percent of children and adolescents struggle with one of the many forms of anxiety. The good news is that there are effective ways to coach your children to learn skills for managing their anxiety, whether it is General Anxiety, Separation Anxiety, Social Anxiety, or one of the other flavors. The culprit is a part of our brain called the amygdala. 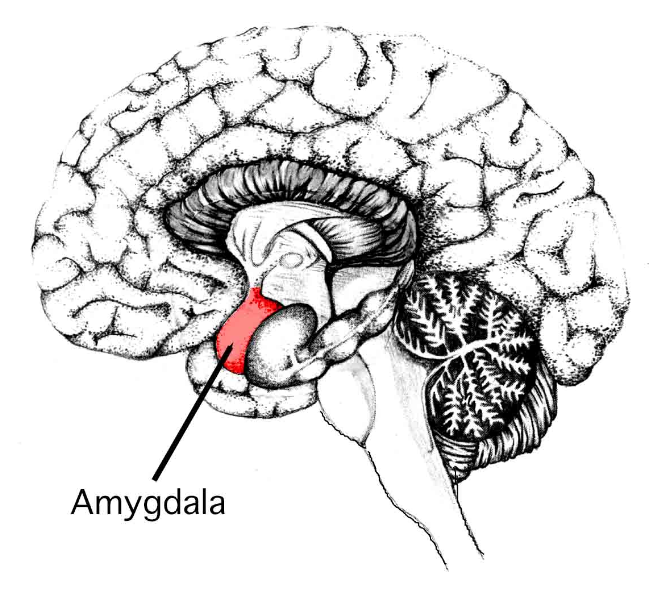 In response to alarming stimuli, the amygdala triggers the fight or flight response, charging the body with adrenaline. This releases sugar into the bloodstream, which speeds up the heart and breathing, and opens airways to fuel the muscles and the brain with oxygen. The amygdala acts automatically, without checking with the logic centers of the brain. For our primal ancestors, that threat might have looked like a prowling lion; whereas my daughter’s lion is a pool of water, an instructor, and five other six-year-olds waiting their turn to practice forward strokes and long legs. For people with an anxiety disorder, the amygdala is overactive, firing life or death responses when facing daily challenges, new situations, or sometimes for no overt reason. It is similar to the way the immune system of a person with a peanut allergy responds to contact with a peanut. It is an inappropriate and automatic response by one of the body's protective systems. I'm not giving you a hard time. I'm HAVING a hard time! All of us experience anxious moments, but it becomes a disorder when the anxiety controls the person's decision making and/or the constant strain of daily anxiety affects their physical health. The amygdala may not check with logic centers, but our logic centers can check our amygdala. First, my daughter must recognize what’s happening in her body, use her calming techniques, then, usually later, work through the issue that caused the anxiety. It is a difficult skill set, but it gets easier with practice. Lately, I’ve noticed she doesn’t have to work so hard to control her anxiety, and fewer situations (or suggestions) trigger the flight or fight response. This confidence is powerful; more powerful than the imaginary beasties that lurk in the shadows of her mind. The first task was to understand how she’s feeling. I am afraid of snakes. When they surprise me, I have a strong fear response. However, I don’t have anxiety so I can quickly regain control. When she started getting scared about something that seemed silly to me, I would imagine a room with several loose snakes hiding out in the furniture, and someone pressuring me to go in there. This exercise brought to light several points about how to work with her when she’s anxious. Point 1: Don’t shame me for my fear, I can’t help it. Point 2: Change is hard. Sure, some form of snake fear therapy could help, but I don’t want to. Facing a fear is uncomfortable and difficult. Point 3: I need control of the process. If I needed to seek snake-fear therapy, it would need to be on my terms. If you tried to decide for me and pushed me into a room of snakes (even cute little harmless ones) and closed the door, I would hate you for ever. Period. Point 4: I want to be equipped before I face my snake. I would want to learn and be prepared with calming techniques beforehand and know that I could go at a pace that felt safe, even if it took years. Point 5: This is for my benefit, not yours. My fear response to snakes might seem silly or exasperating to you, but I would need to confront this issue for me. The worry of disappointing someone else would make the pressure unbearable and almost ensure failure. Resist the urge to reassure. A crucial part of this process is to abandon attempts to reassure your child. His body is readying him for a fight to the death, telling him to calm down, that it’s just a friendly little snake (or imaginary) doesn’t help. Instead, describe what you see with genuine concern, “You’re breathing really fast and your eyes are wide. You must be really worried.” Then reflect his fear back to him, so he knows that you know there’s a snake there—you know? This practice also creates awareness of his physical responses to anxiety, so he can eventually recognize it and head off the process on his own. Inducing physical calm. Practice belly breathing through the nose, clenching and releasing muscles, prayer, and/or meditation. These techniques can help a child to shut off the flight or fight response. Following up with a physical activity is a great way to discharge the remaining adrenaline to prevent it from causing the typical anxious child tummy ache or headache. Distraction. Before his mind can return to what caused the anxiety, coach him to engage in a mental distraction, e.g. reading, or playing a mental game like trying to remember the alphabet backward, or counting by threes, until he feels in control. Make a list. Once your child has refined a process that works, suggest making a list for her to keep in her pocket or backpack. It’s difficult to think clearly when under duress, and a familiar list of things to do can help be confident that she can regain control. If you see her belly breathing or mumbling numbers in order to induce calm, once she's regained control, notice her efforts in the same way you would with a great report card or a three-point shot. That’s it for now. Let that soak in then come back for the next segment in which we will explore coaching techniques to help our children work through difficult situations. Now that your child has learned to return to calm during an anxious episode, (Part 1: Empathy and Calming) let’s look further into the future and explore ways to coach your child through an anxious situation. Your child's anxiety isn't your fault. This is their problem to fix, not yours. Even though we can't fix their anxiety any more than we can go to bat for them at their ball game, there is a lot we can do to help. Be a coach. First, we must don our hat, whistle, and gym shorts. Becoming a coach can ease your own feelings of frustration. Coaches teach skills, give encouragement and recognition, but never play for their players. Coaches look for progress, not perfection. To begin coaching work together to find a time of day when she is usually relaxed. Talk back to the amygdala. Ask her if she can think of forceful things to say to her amygdala, e.g., “Alexa, stop bothering me! I don’t need you right now!” Feeling powerful can help ease anxiety by switching to the offensive, the words also discharge some of that frantic energy. She might feel silly practicing this, but as it is with sports, practicing it when relaxed will make it come more naturally when she really needs it. Try it during your own anxious moments; it can help if she can watch and emulate you. When confronting a situation like swimming lessons or school fears, be persistent, but reasonable. When you automatically pull a child from an activity that triggers their anxiety, the message they receive is that you think she’s not capable, leaving her feeling defeated and ashamed--albeit relieved. 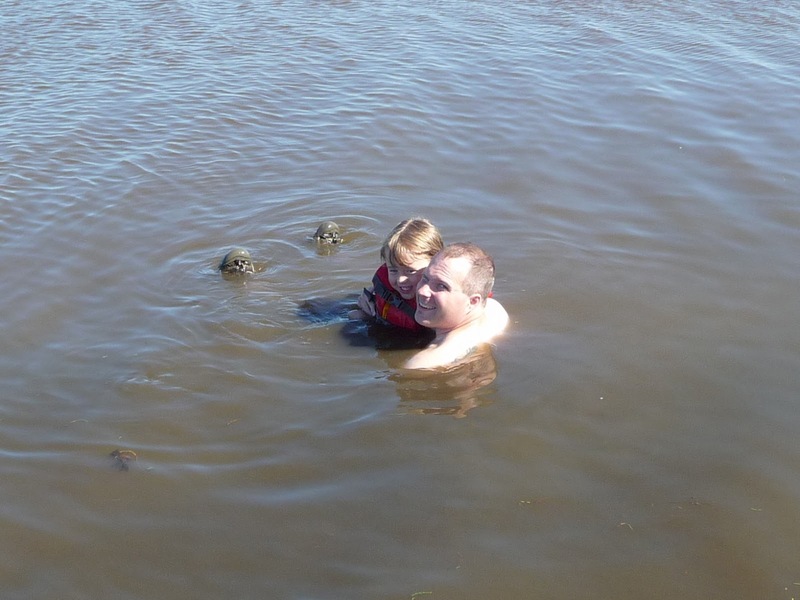 Instead, explain that swim lessons (or whatever it may be) will keep her safe when having fun around water this summer, but that you’ll wait to sign her up until she feels ready. You’ve showed her that there’s something in it for her, lots of summer fun!, and that she’s in control of the situation. That said, anxious kids should not be shoved into something scary, it may cause panic to set in and damage trust. For children with anxiety, it is a short trip from fear to phobia. When you’re ready, is the first mantra to remember. I can help, is the second. However, if a situation has become toxic for her, trust your decision to allow her to quit the program. Take each concern your child has in turn. First, listen carefully, then put the problem back to him using his words. “Do you think you will drown?” Try your best to sound concerned; not mocking. Keep putting the question back to the child. The feedback loop shows him that you hear his concern, but that he’s still in charge of the concern and that you are confident he can handle it. When he hears his words coming from you, sometimes he will realize it isn’t likely or logical. If he’s getting stuck and the amygdala starts firing again, get out the list of calming techniques, then try a fresh approach. But first and foremost, let you child do 90% of the talking, it’s his problem, so he gets the floor to talk it out. Listening is difficult, you may want to talk and impart your wisdom and experience, but as soon as your lecture gets rolling, he’ll disengage. If he’s old enough to write, suggest writing down his fears on a piece of paper. If your child is a visual person, or not able to read yet, help him draw a picture of the scenario. This process helps him unload his fears from his head onto something external so he can engage his logic centers to process them one by one. Sometimes he’ll feel better just getting them externalized--snakes don’t look so scary in crayon--but resist the temptation to stop there, the crucial part is taming each fear one by one. Even have him draw in the purple monkey and huge drain. Then let him cross them out, thereby eliminating the irrational concerns. Ask if the drowning person can be crossed out too. The questions are prompts for him to engage his logic centers and to separate the rational concerns from the irrational. You want him to feel as though he is coming up with the solutions for the rational concerns, even if your questions are leading. Engaging his logic centers has the wonderful side effect redirecting energy away from the amygdala--it is a mental distraction and a problem-solving exercise rolled into one. After working through the issues, ask if he’d like to see the pool where the swim lessons will take place. If he’s old enough, have him call the pool center to find out when lessons are and whether or not watching a lesson in session before joining would be OK. The more empowered he is, the more confident and in-control he will feel. You can take it further by asking to meet the instructor, so your child can meet the person and ask questions directly. If he gets nervous and forgets, remind him what his questions were, but try not to do the asking yourself. Feel free to break the ice with introductions and let the instructor know your child is anxious about lessons. Ok, that’s it for segment two. Feel free to take off your cap and whistle, but keep them on hand, you need to be ready when your child approaches you with that look of an imminent anxiety attack. In the final installment, you and I get to talk about the challenges of being parents of our anxious kids with more ideas and techniques.